Groups trying to stop Wyoming's planed grizzly bear hunts this fall say the state borrowed part of Montana's quota to increase possible females killed from one to two. Officials in both states dispute this. Under the Wyo proposal, hunters could kill up to two female grizzlies, even though the state's allocation is just 1.45. Montana's female allocation is 0.9 females. The states have agreed to round up or down the allocations, so Wyoming should only have one female tag, as would Montana if it had set a hunt. Wyoming's hunt also provides tags for up to 10 male bears. All grizzly hunting would cease, however, once two females tags are filled to prevent more females from being mistakenly killed. Montana FWP's new plan to combat Chronic Wasting Disease includes killing more bucks, the primary carriers of the disease. The Montana Fish and Wildlife Commission will vote on the plan at its meeting Thursday in Helena. A little hunting humor from The New Yorker. Plowing has begun on Going-to-the-Sun Road in Glacier National Park, but don't expect Logan Pass to be passable anytime soon. The road normally opens in June, but heavy snow this season could delay that opening until later in the summer. The Park announced that it had plowed to Two Medicine Camp Store on the Park's east side last week, where drifts measure 15- to 20-feet deep. Crews are working on Many Glacier Road on the east side of the park, and Camas Road on the west side of the park, as weather conditions allow. More snow is in the forecast. Next week, west side crews expect to begin plowing the Going-to-the-Sun Road between Lake McDonald Lodge and Avalanche. Glacier, like the rest of Montana, has been hammered by snow this winter and early spring. The Flattop Mountain SNOTEL station shows snow depths 125 percent of a 30-year average. According to data recorded at the Flattop SNOTEL station, this is the most significant snow year since 2011. The West Glacier Weather Station is showing approximately 127 percent of a 30-year average as of March 30, with this winter (in West Glacier) thus far being the eighth highest snowfall year since 1964. The Road is usually open by early to mid-June, but didn't open until July 13 in 2011. That was the latest opening for the road since it's inaugural year, when it opened July 15. Montana river basins hold snowpack well above average, and may increase as early spring storms continue to hit the state. The Flathead River Basin on Glacier's west side is at 142 percent of average as of April 5. The percentages of average snowpack stored in Montana's river drainages held steady in early April at levels way above normal. Adding to the carnage, Montana is being hit by early spring storms right now, with more weather forecast next week. There are winter weather watches and advisories posted across the state for today and Friday. If you are traveling, be careful. If you can, avoid it all together. Summer will arrive soon enough. It only seems as though it will be just a long weekend in early August. The good news: all this snow if river storage for summer. 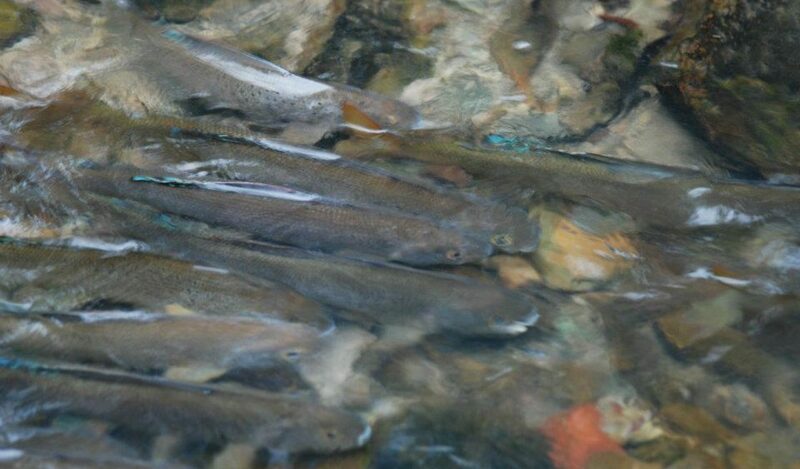 Trout and whitewater guides will be the primary beneficiaries if cool temperatures prevail this spring. Farmers won't be too angry either. Well, it is spring in Montana so the storm that blew through the state Sunday night and Monday morning really isn't out of the ordinary. Still, I'd hoped I'd shaken the last of this season's snow and ice off the boat tarp this weekend. I guess not. Still, all this snow, or more importantly precipitation, bodes well for the summer fishing season. All that white stuff is simply a whitewater in storage. We'll appreciate it in August if it lasts. At least for now, the forecast is bullish for full-flowing summer rivers. Montana will hold off on grizzly hunting, at least for now. That's a good decision, but as the bears recover, conflicts will become more frequent. We ought to prepare for the reaction when something bad happens. Bears aren't wolves and when the victim of an attack is human rather than livestock, the blowback will be fierce. My latest column about the future of grizzly bears and the inevitable hunting season in Montana's future.